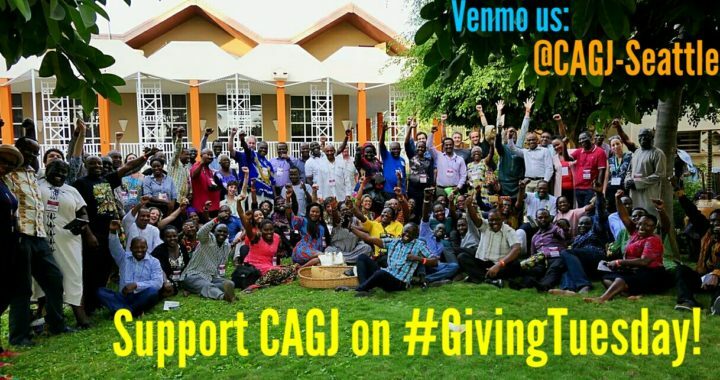 Earlier this month, I joined two other CAGJ leaders in Senegal for the African Food Systems conference convened by the Alliance for Food Sovereignty in Africa (AFSA). The only US group represented at the meetings, we came to learn from over 100 participants from countries throughout Africa, a few of whom we had hosted for our Africa-US Summit in 2014. We are proud to have been voted in as an Associate Member of AFSA while in Senegal. 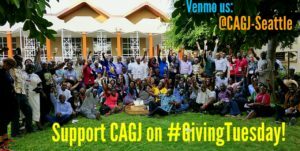 Please consider a tax-deductible gift to CAGJ this #GivingTuesday to support our solidarity work with the African food sovereignty movement, as well as local food justice campaigns! After a beautiful opening day of ceremony and keynotes, we circled around a bonfire on the seashore. Each person wrote down one burning question for our movement. Accompanied by a rhythmic drumbeat, everyone read their question out loud, then threw it into the fire. The questions were wide-ranging: What can we do to stop the robbery of African resources? How can we promote agricultural cooperatives to feed Africa? How do we stop the disappearance of indigenous food systems in Africa? How can we ensure that the best land is given to small-scale producers instead of transnational corporations? How can we ensure African youth are proud of African food, their roots, and never go on boats to other shores? That night, we stood alongside African food sovereignty leaders, grateful for the opportunity to witness this moment in our collective struggle. We’d been invited to attend the conference because of the AGRA Watch campaign that CAGJ formed eleven years ago. This campaign holds the Gates Foundation accountable for their approach to agricultural development in Africa, which runs counter to the hopes articulated in these questions. In meetings with our partners in Senegal, we heard that the Gates Foundation continues to be a major player in undermining African food sovereignty – which means that our work is needed now more than ever. Our movement holds a vision for change that can heal our planet. Yet today, Africans face ever-mounting pressure to adopt GMOs and de-value indigenous farming systems, while simultaneously facing a new wave of technological fixes, including gene-drives* funded by the Gates Foundation. 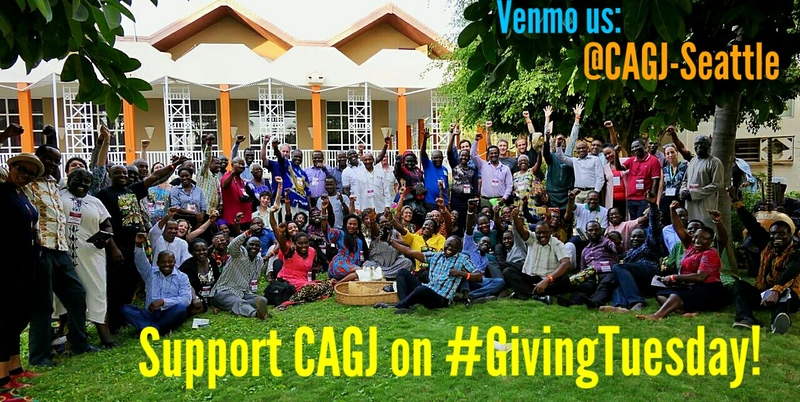 A gift to CAGJ today will help us strengthen the US movement in solidarity with the millions of Africans who practice agroecology and promote food sovereignty every day. Support Solidarity in Action! Become a Monthly Sustainer at $18/month, or make a one-time donation of $200 (or more), and we will have a beautiful gift for you – our new T-shirt with artwork by Heather Elder, or our poster with artwork by Nikki McClure – your choice. P.S. Please consider becoming a Monthly Sustainer this #GivingTuesday! Sustainers help us focus where our energies are needed most: Organizing in solidarity with frontline communities – here in the US, and globally. *Read the letter signed by CAGJ and over 200 other organizations, “A Call to Protect Food Systems from Genetic Extinction Technology,” calling for a global moratorium on the release of engineered gene drives.